This past Saturday down in San Mateo was a wonderful experience. So that I do not spoil the much anticipated post detailing the day that is all you will get on this post. However, I do have more dates for you. I would like to know if anyone could attend one of the mid-week dates. As always you can contact me for a ride to the site. Wednesday, Feb. 8 – 8:30 a.m. to 1:00 p.m.
Wednesday, Feb. 15 – 9:00 a.m.-1:00 p.m.
Saturday, Feb. 18 – 8:30 a.m.-1:00 p.m.
could deliver some of the fruit please respond to this e-mail. 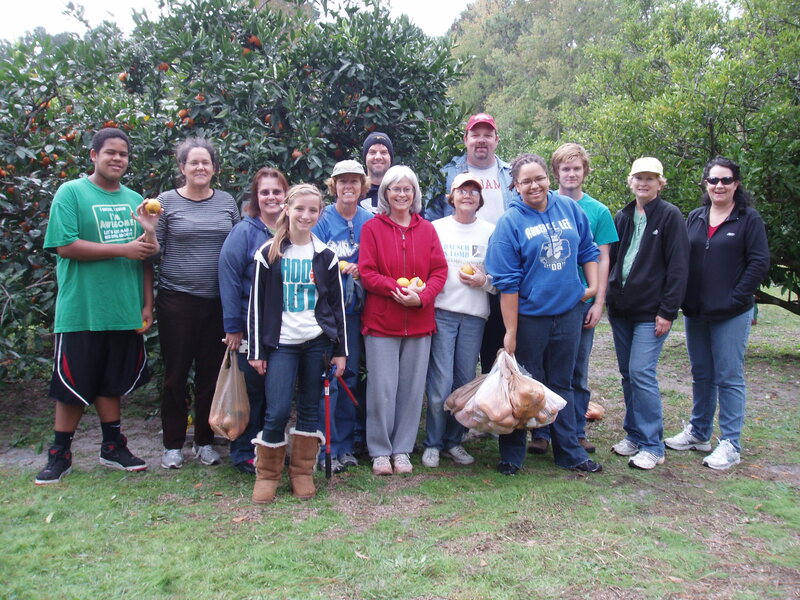 Wednesday, Feb. 22 – 8:30 a.m.-1:00 p.m.
We’ll visit 3-4 homes in this area to glean oranges and grapefruit. The weather in North Florida is beautiful. Per this morning’s weather report we are just close to 10 degrees warmer than last year, apparently due to the occurrence of El Niño. That being the case our time to glean stats a bit brisk but ends with a short pants and t-shirt afternoon. 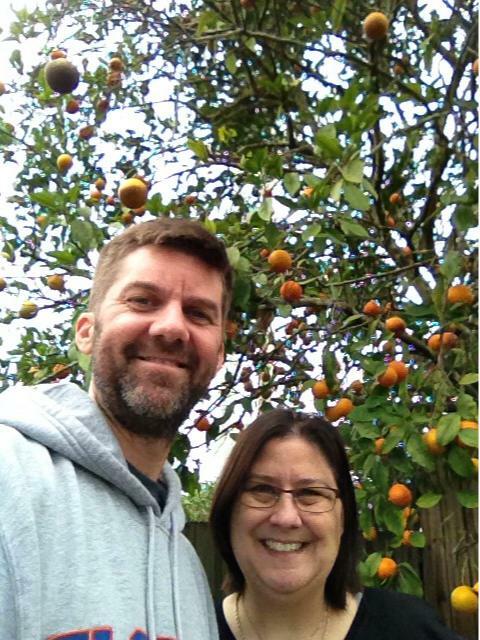 This past Saturday found us in East Palatka at two residential homes to harvest the most grapefruit I have ever seen. The second house specifically had two large trees that allowed us to climb them to reap the benefit of its production. Unfortunately I had to leave prior to harvesting a fourth house (while we were at home number two-part of our group was at another house) so I cannot report how much fruit we saved from going unused. Amidst the success were two huge failures on my part: 1) no pictures and 2) trying to clip fruit resting on a power line. For the latter I am grateful I am not dead as my partially rubberized gloves would surely have not saved me from electrocution. Beyond that was the continued gardening tips and education as to the different varieties of citrus. The new orange, I believe, is from the Seville family though I cannot recall its name. It was small and we ate it peel and all. Not real sweet and it stayed with you for hours. The home owner told me it is very good for marmalade and liquor. As always Sandi Newman was a gracious host and my companion, Jane Marchand, was a welcomed passenger for the scenic ride. A tall Americano from Starbucks along with a sausage/egg breakfast sandwich and Jane’s bag of pumpkin bread helped fuel the positive energy. This weekend we will again traverse 95 South to US 17. Our destination is a small family grove, just a bit further down the road from our first stop last week–it’s at 477 U.S. Hwy. 17 South in San Mateo. As always your presence is welcomed and the Tahoe has more than enough room to fill. Please contact me with any questions. 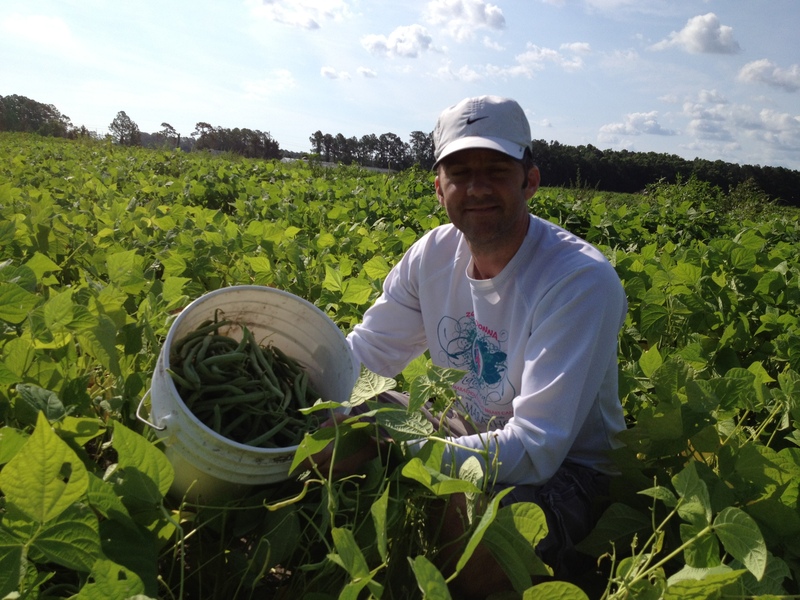 Your First Gleaning Update for 2012: Who Will Join Me? Happy New Years to everyone! I hope 2012 finds you in good spirits in spite of any hardships or obstacles. The holiday was less hectic than I expected and time away with family served to purge and refocus the brain. A late Christmas gift was Sandi Newman’s email regarding gleaning opportunities in January. Hopefully you can join me for at least one of these. Our Saturday morning gleaning group. My morning started early at around 5:30. Laundry had been started the night before and my wife deserved a reprise from chores she far too often assumes. The kitchen was another task would be removed from her Saturday list. It was nice to actually embrace what my father calls “the best part of the day” as the silence of halls and rooms was broken only by the pleasant sounds of dog tails moving quickly through the air. The excitement which pulled me from my sleep was directly tied to my first gleaning event with the Society of St Andrews. For those not familiar with the organization, here is what their “about us” states on their website. Their history is grounded in the United Methodist Church.